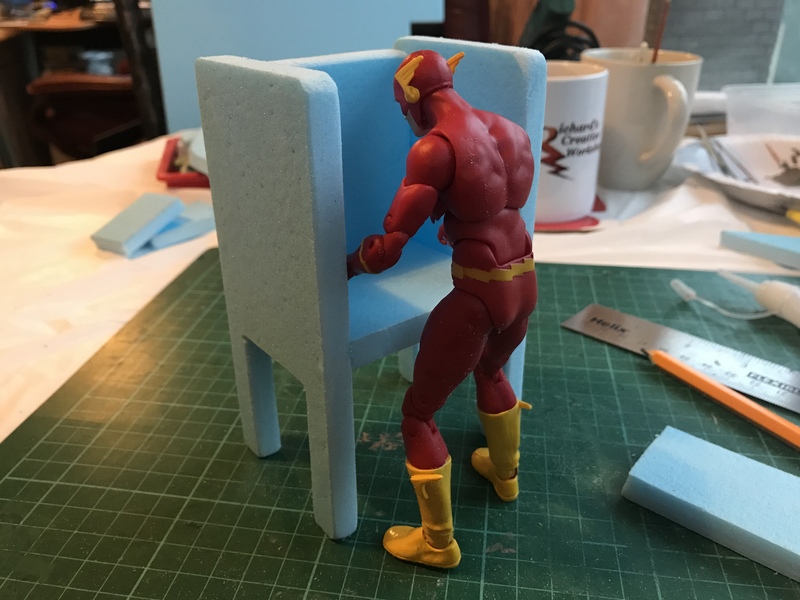 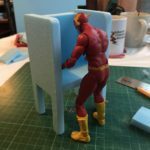 Started a new little diorama scaled to 6 inch action figure. 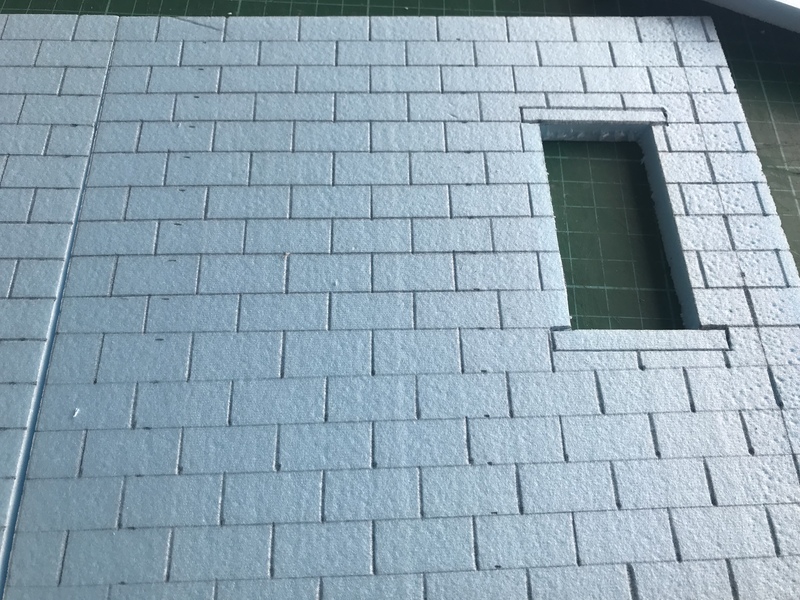 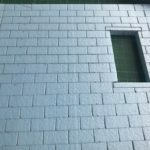 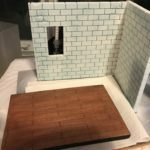 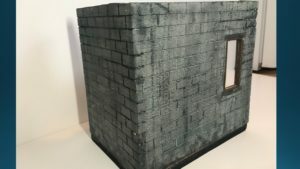 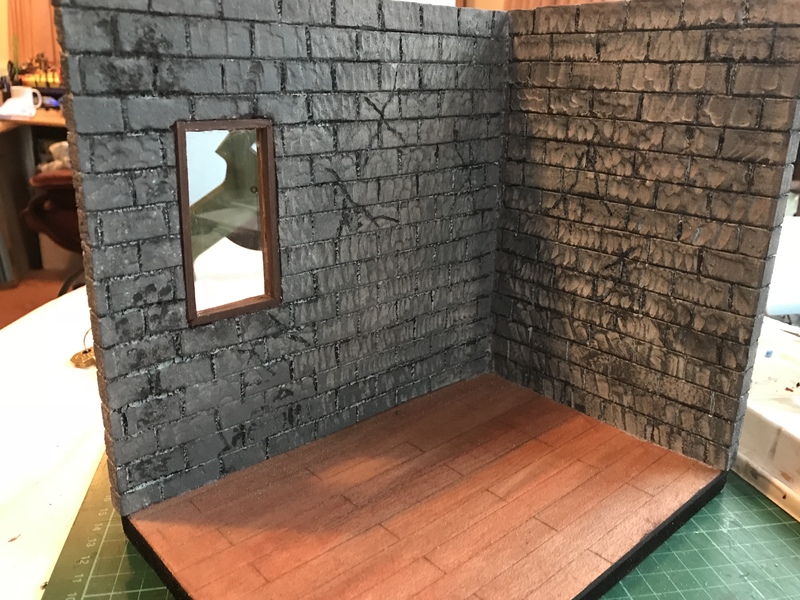 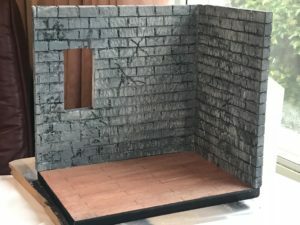 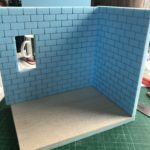 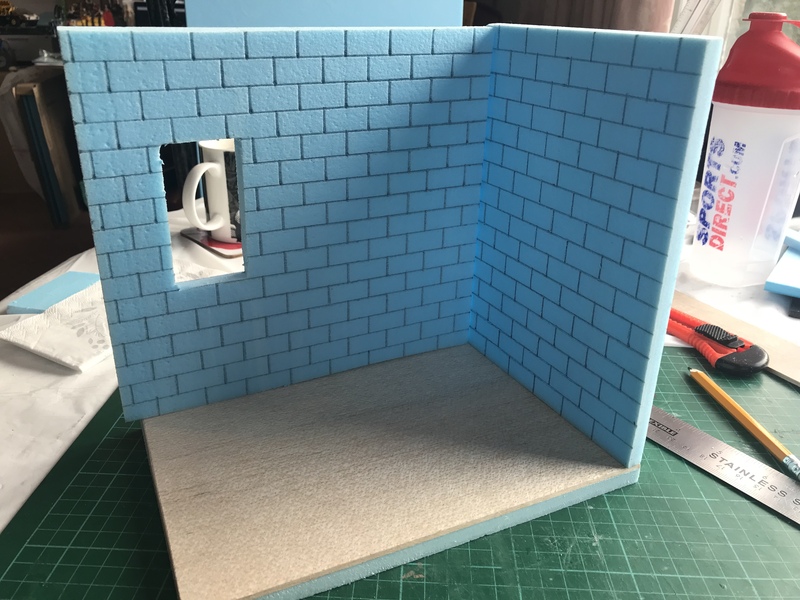 Made from foam board I’ve cut to walls and marked brick on both sides, cut a window on the larger wall. 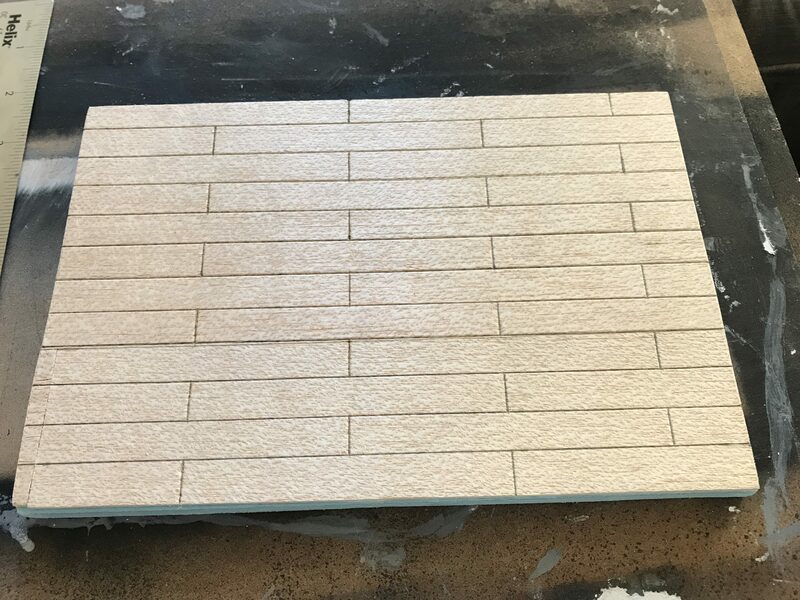 The floor is another piece of foam board, with bolsa wood stuck to it. 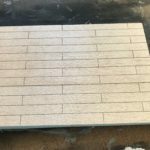 The wood I will mark out floor boards and score the brick work into the walls. 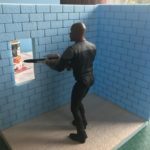 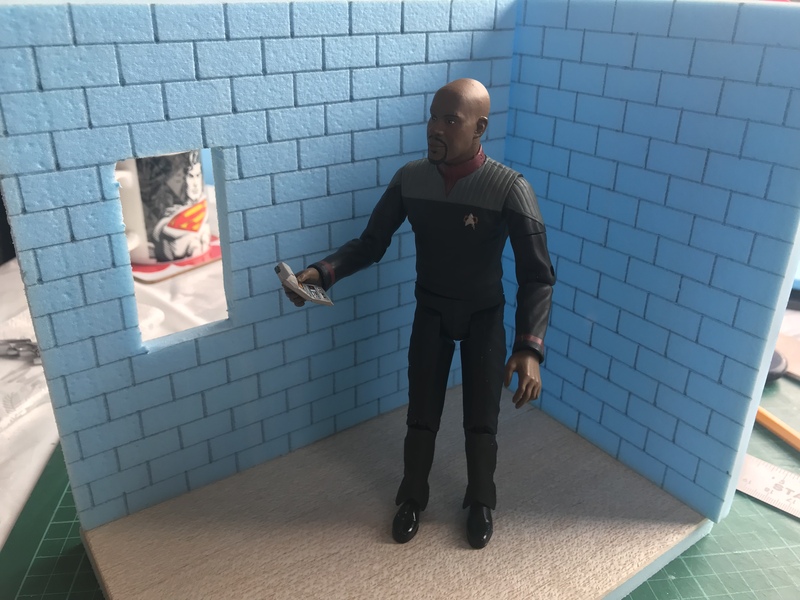 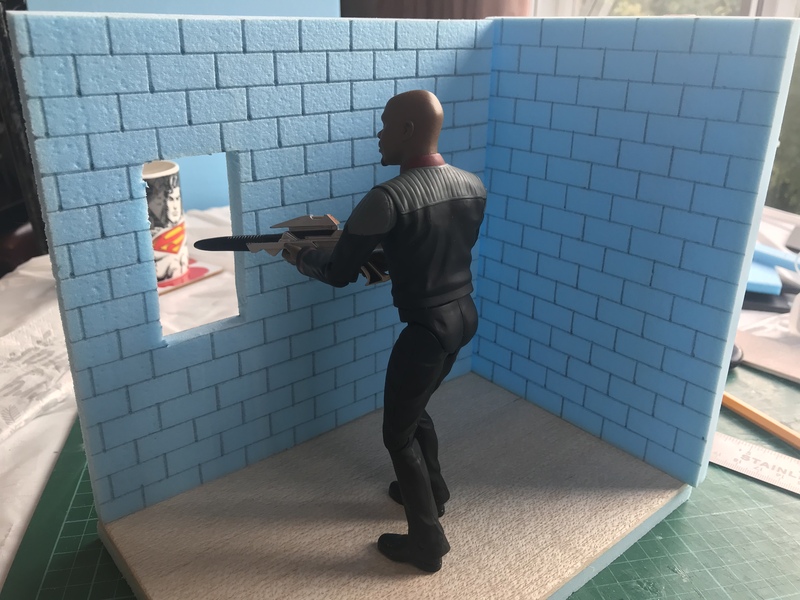 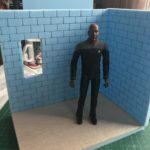 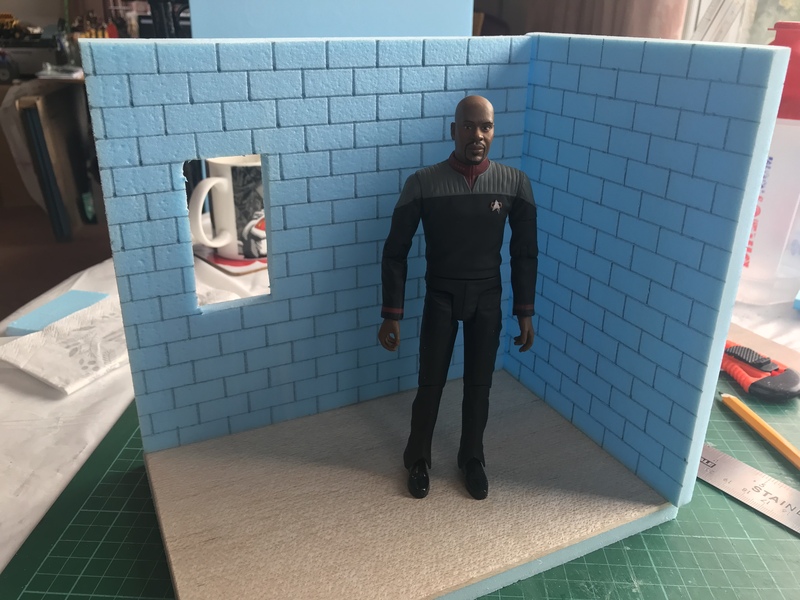 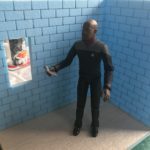 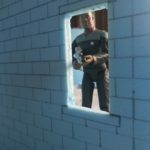 At the moment my Captain Sisko is modelling my new diorama. 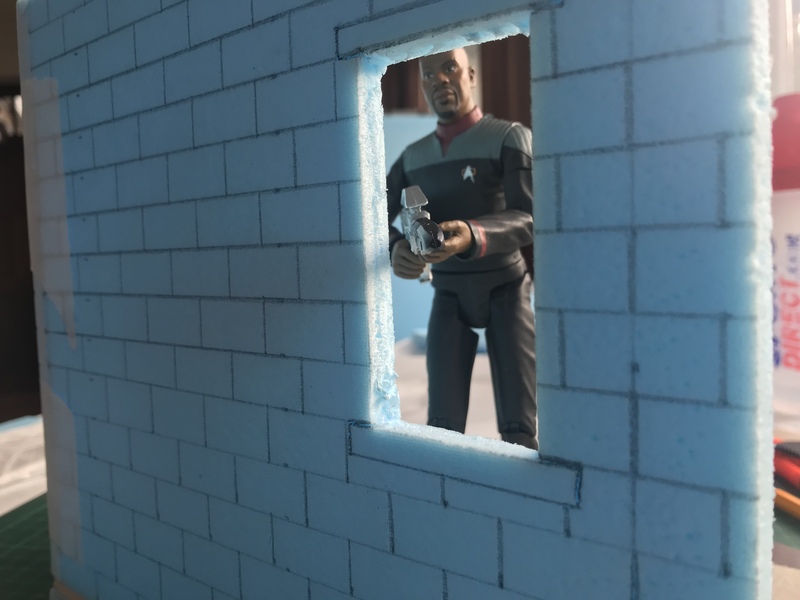 This is not meant to be a Trek diorama, he was the closest to hand to model for me. 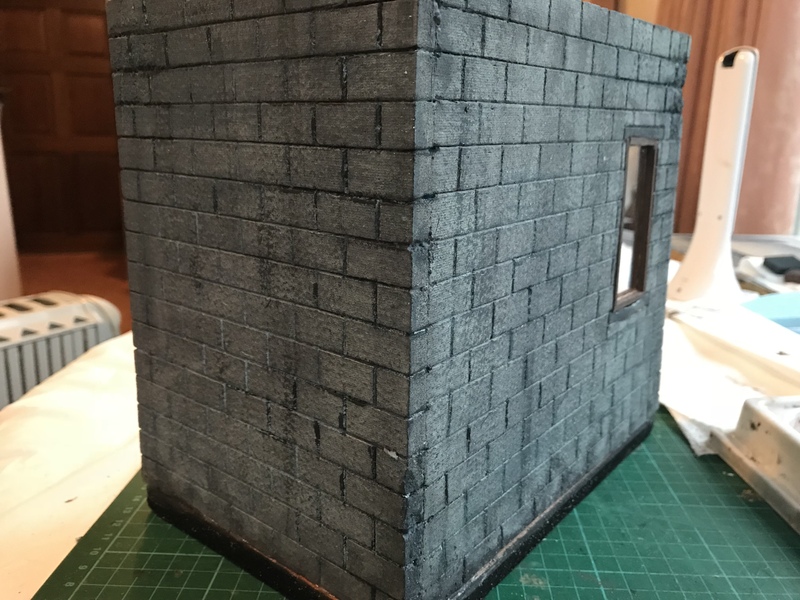 I have scored all brick work on both sides of the wall. 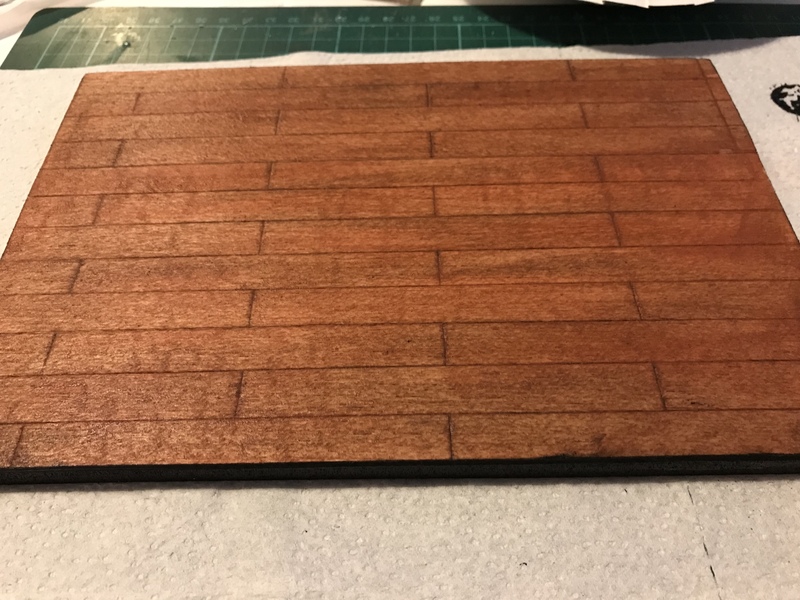 Then I scored floorboards into the bolsa wood. 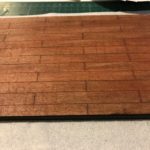 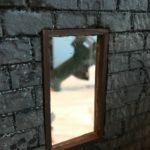 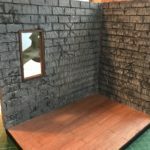 I coated both sides of the walls using white spray paint, while that was drying I used a watered down burnt umber over the bolsa wood floor which was quickly followed up with a watered down black wash. 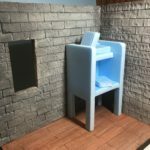 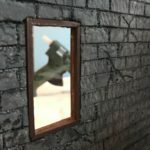 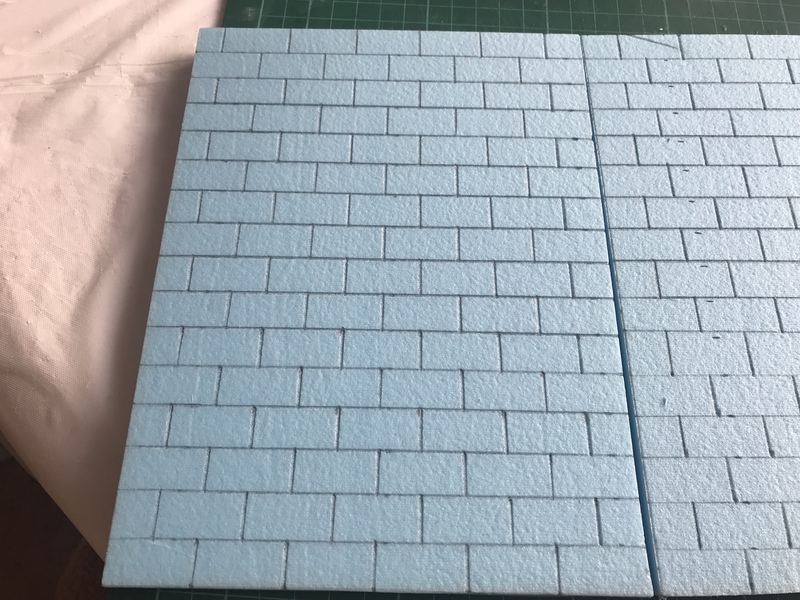 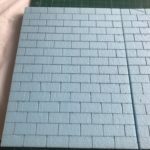 I made up a blue/grey wash and went over the both sides of the wall. Adding black to wash I went in between the bricks and cracks in the walls to emphasise the imperfections in the brick work. 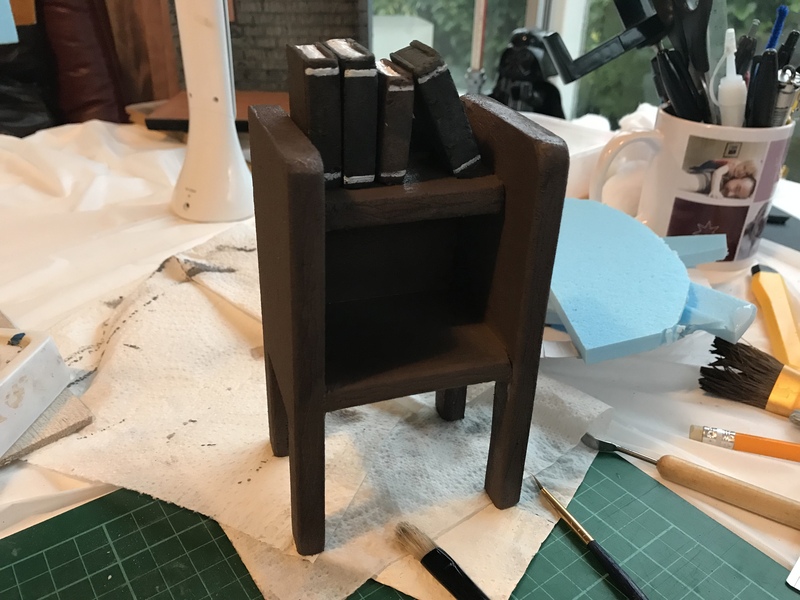 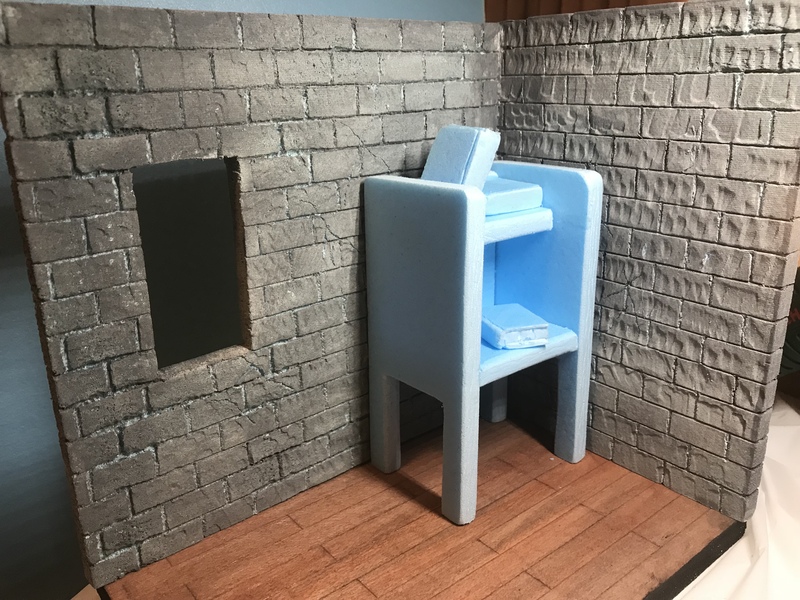 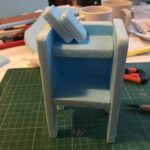 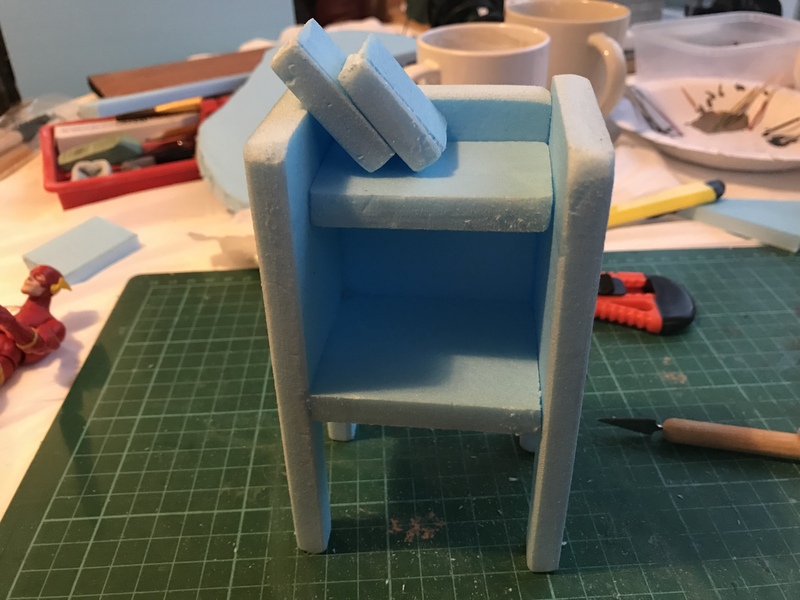 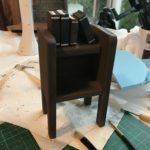 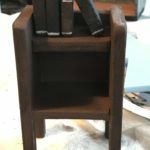 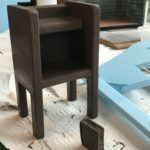 The walls were glued to base and while this was drying I turned to creating a bookcase, using scrap pieces of foam board. 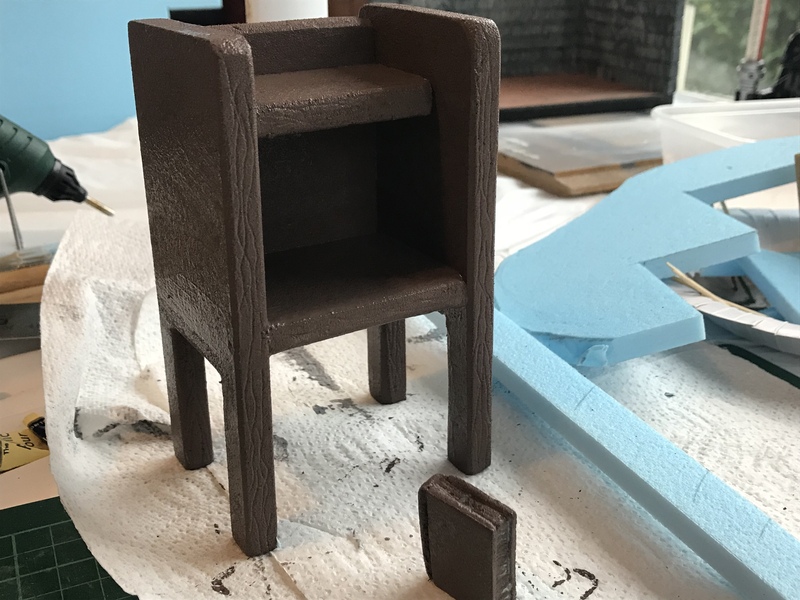 Painting the bookcase in light brown, the same with two of the books, the other two with a dark grey. 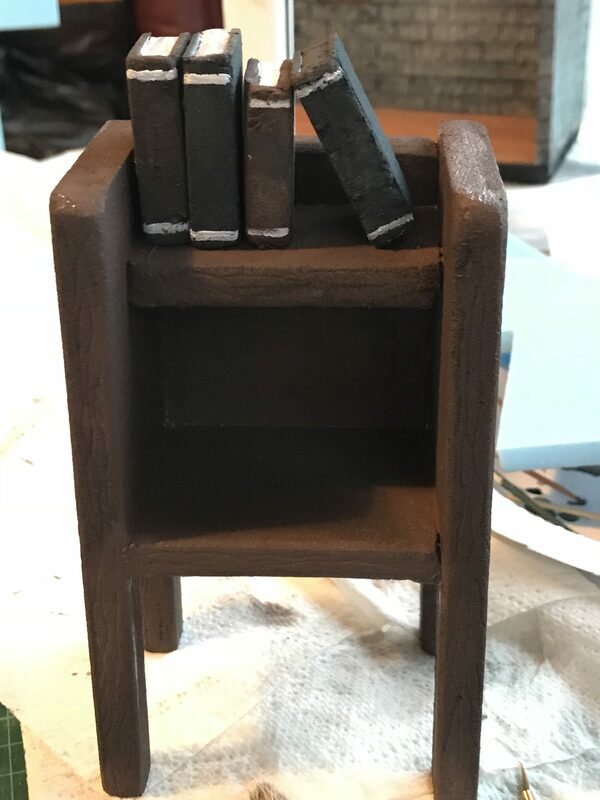 When the books dried the pages where painted white. 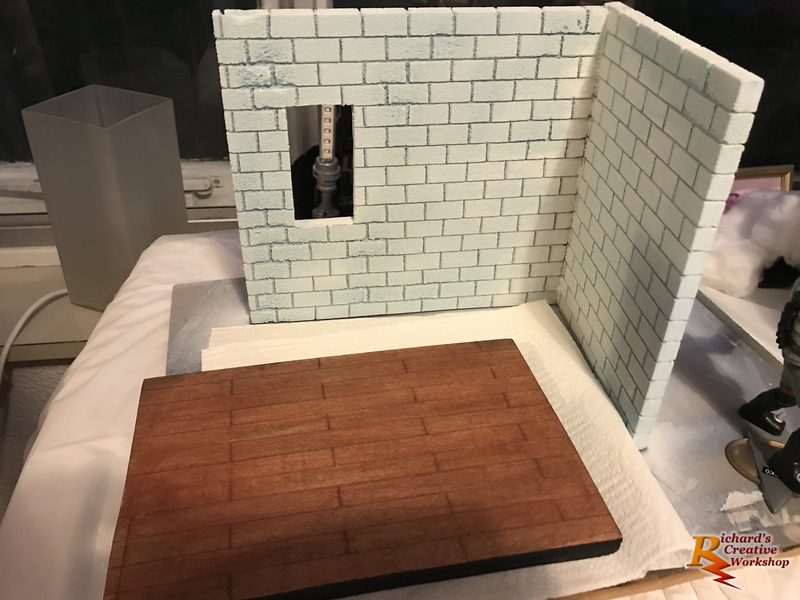 While this was drying I turned back to the room. 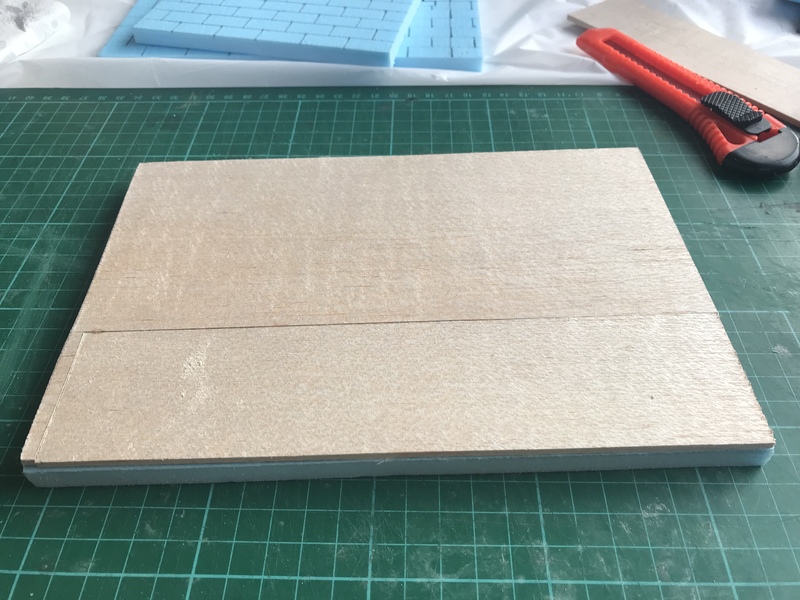 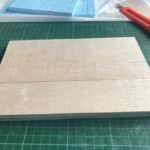 I cut a piece of perspex along with 8 thin pieces of bolsa wood. 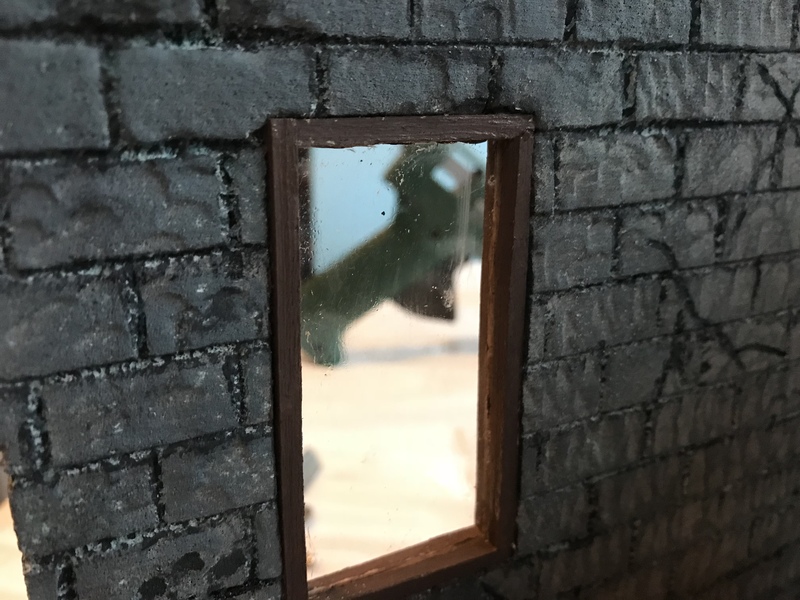 The window was fitted and the thin pieces of bolsa were used for the frame around the window. 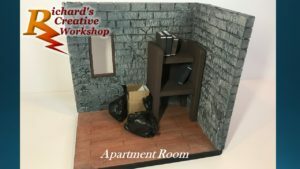 After putting it altogether I placed a box with a couple of rubbish bags in the room. 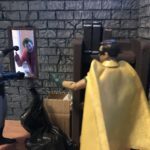 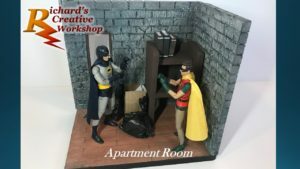 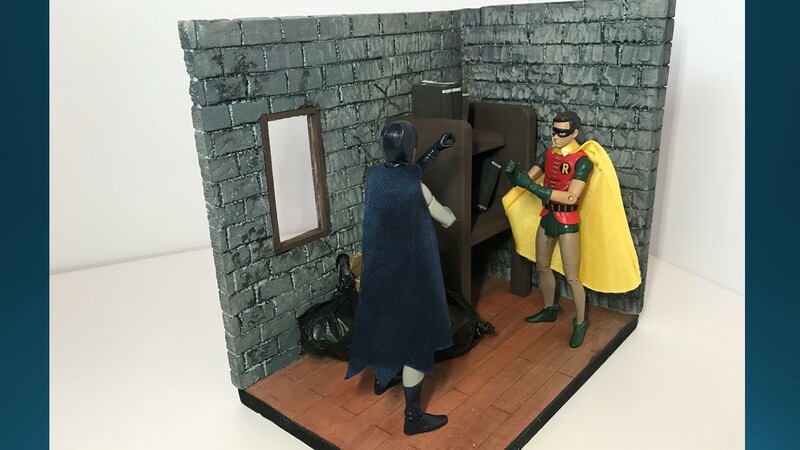 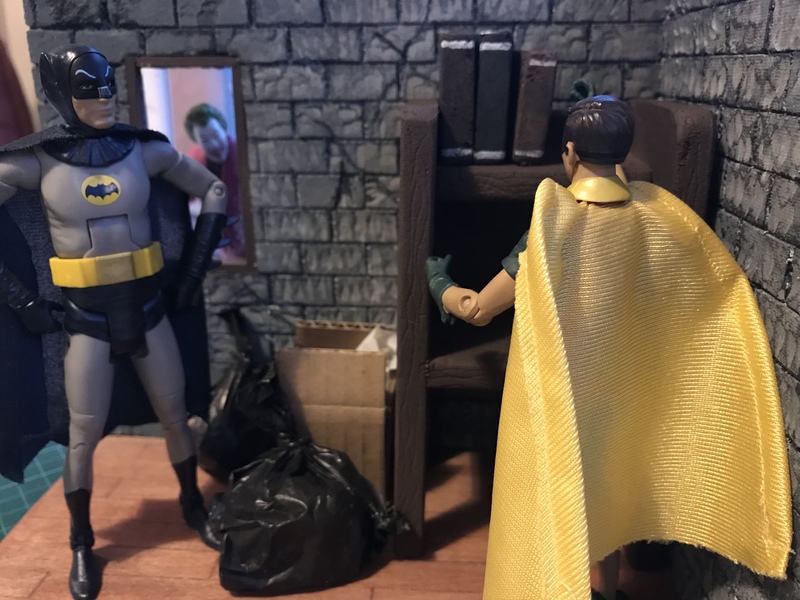 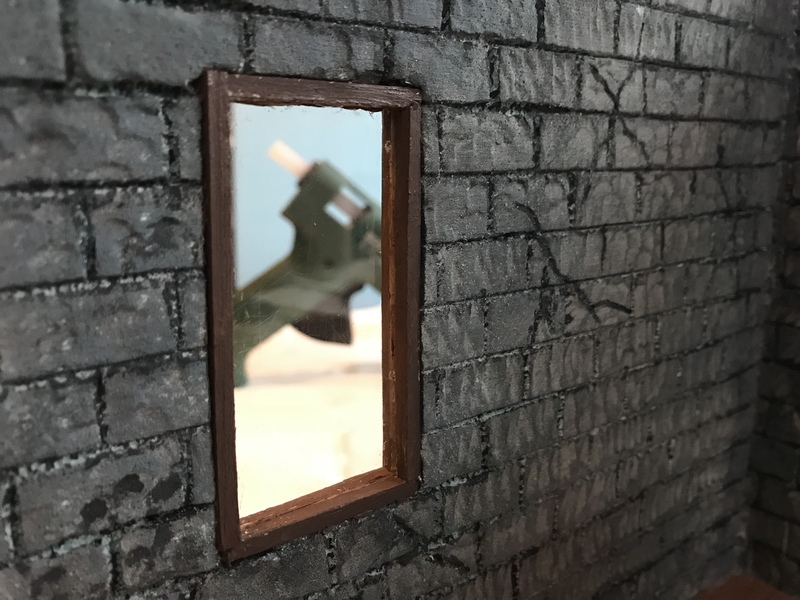 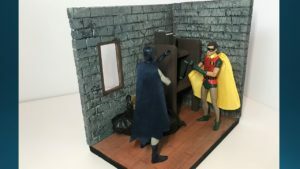 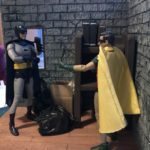 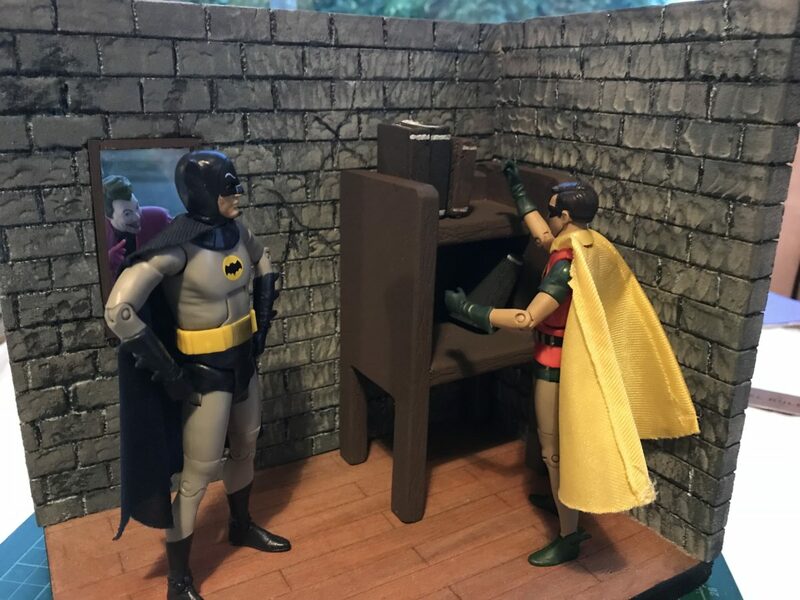 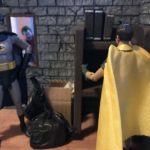 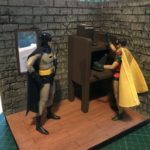 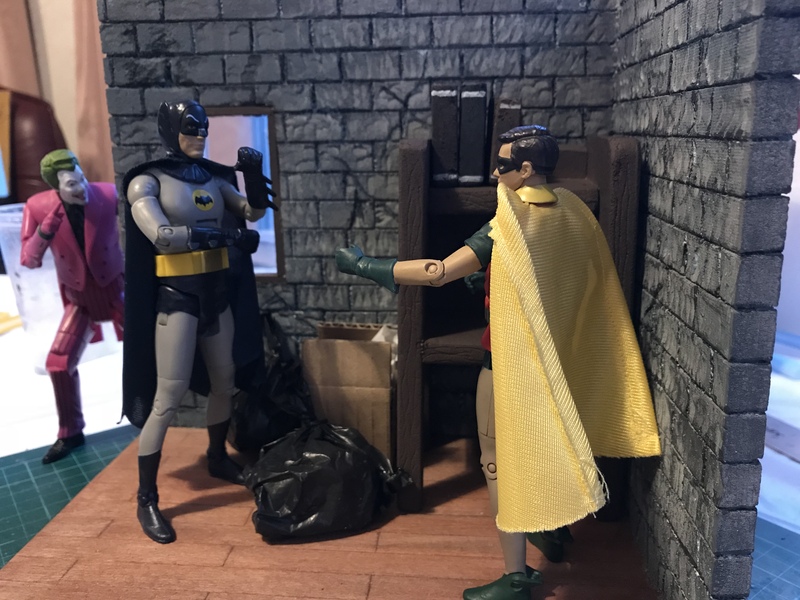 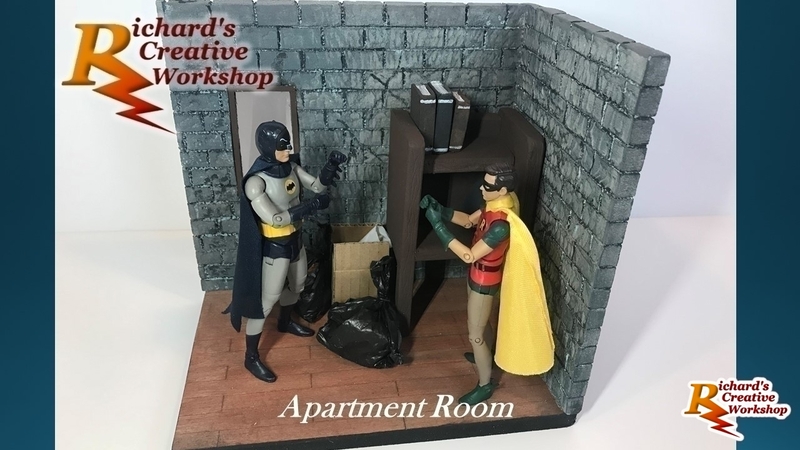 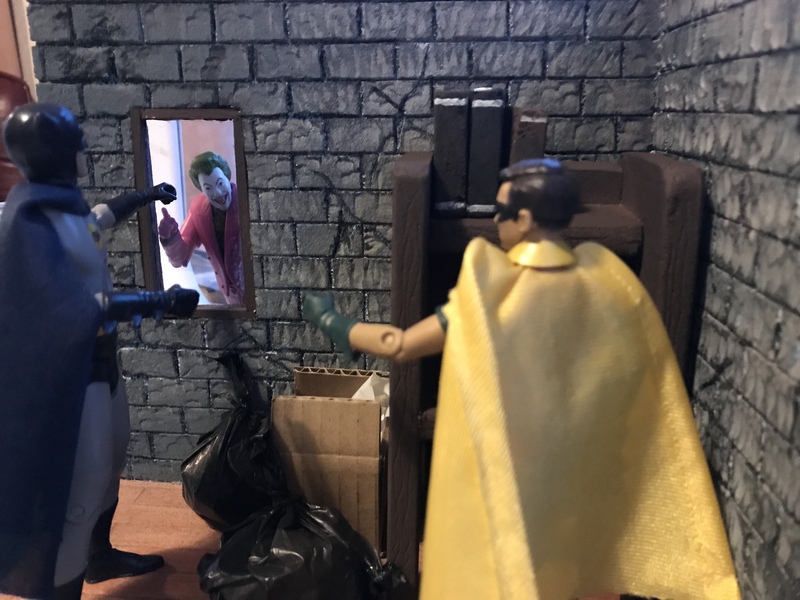 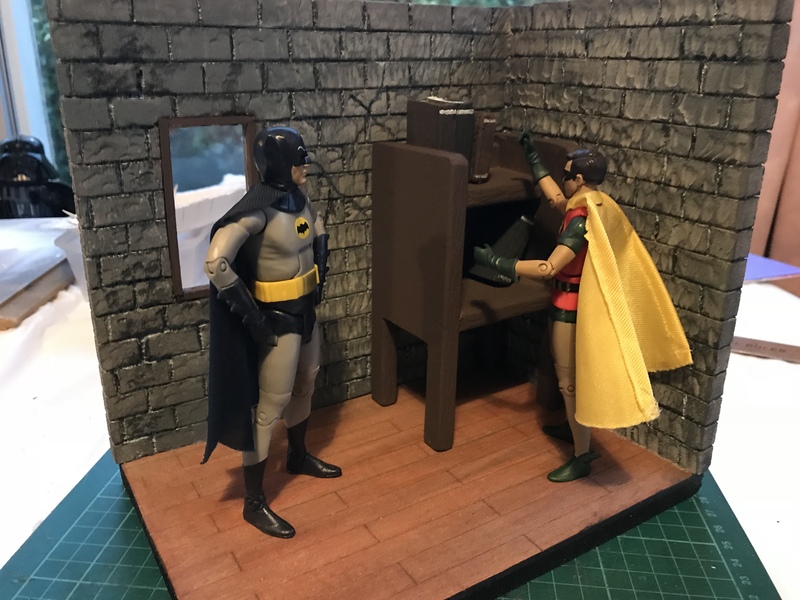 While trying to decide who would suit this diorama I placed ‘66 Batman and Robin to fill the void which works very well, especially when I placed the Joker at the window looking in.